The South Coast took on a carnival atmosphere yesterday a Brighton kept bang on course for promotion from the Second Division. 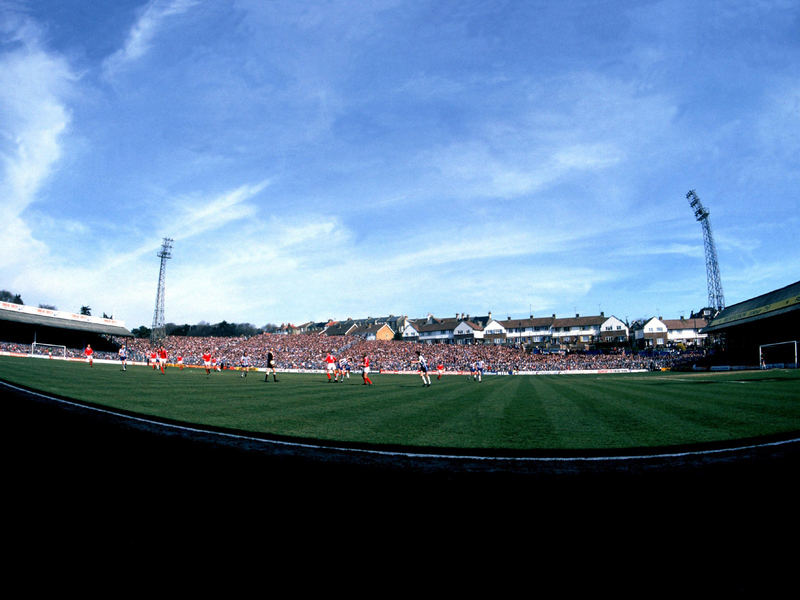 The glorious weather brought a crowd of 30,859 – the second biggest of the season – to see the league leaders. 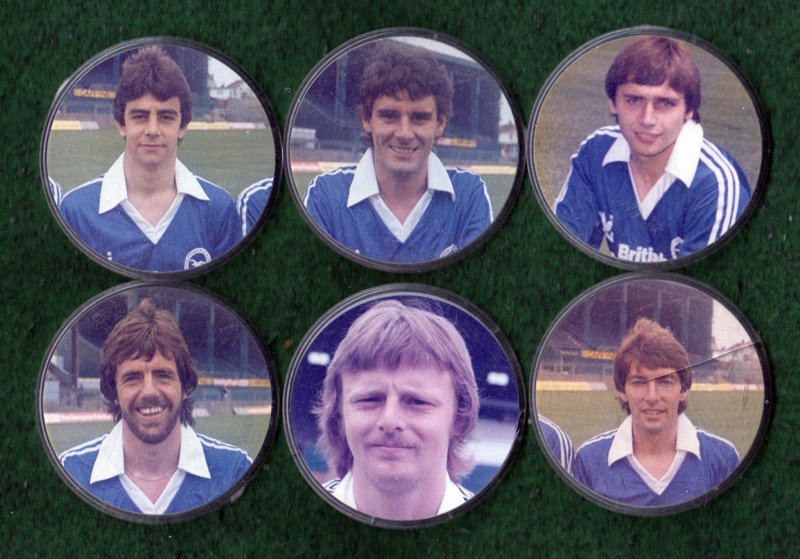 Brighton added a refreshingly different touch by adding the Ray Shields Big Band at the cost of £600. They welcomed the Seagulls onto the pitch with ‘In The Mood’ – which is what Brighton were in a blistering opening spell. 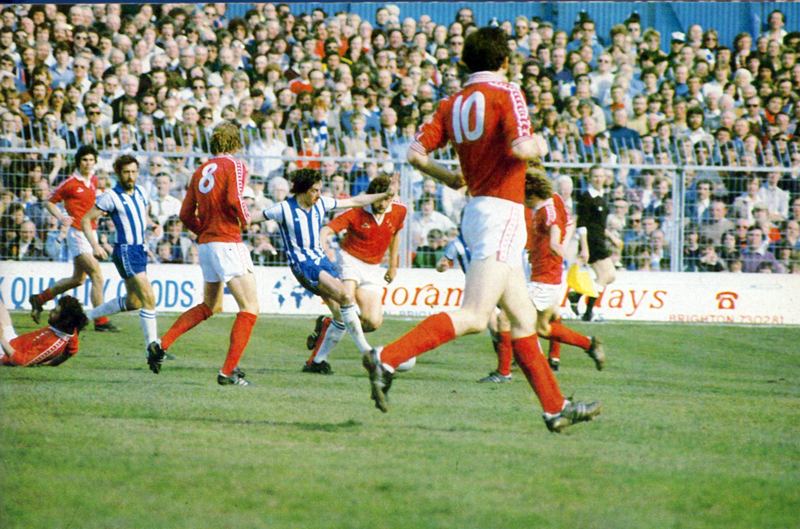 They tore Charlton to pieces with superb football and should have been two up before the impressive Paul Clark – ‘The Tank’ to Brighton fans – achieved the breakthrough with a magnificent 11th minute goal. 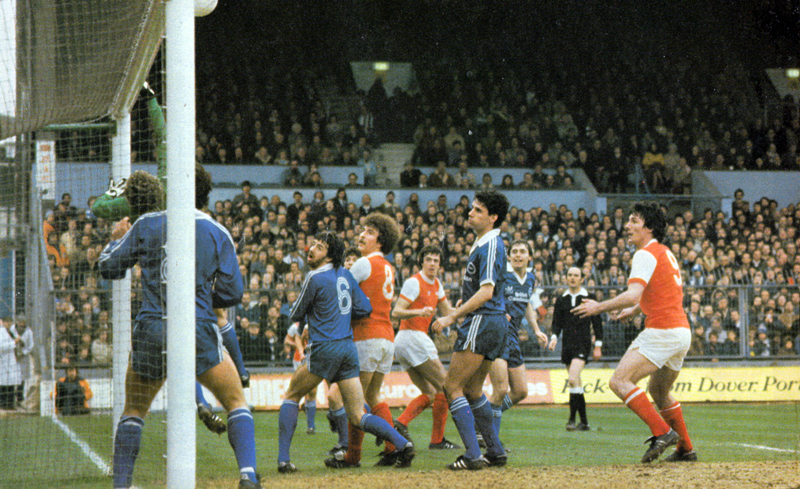 A free-kick from Peter O’Sullivan was headed away by Peter Shaw to Clark, who brought it down with his right foot and struck a left foot volley of unbelievable power from 25 yards. 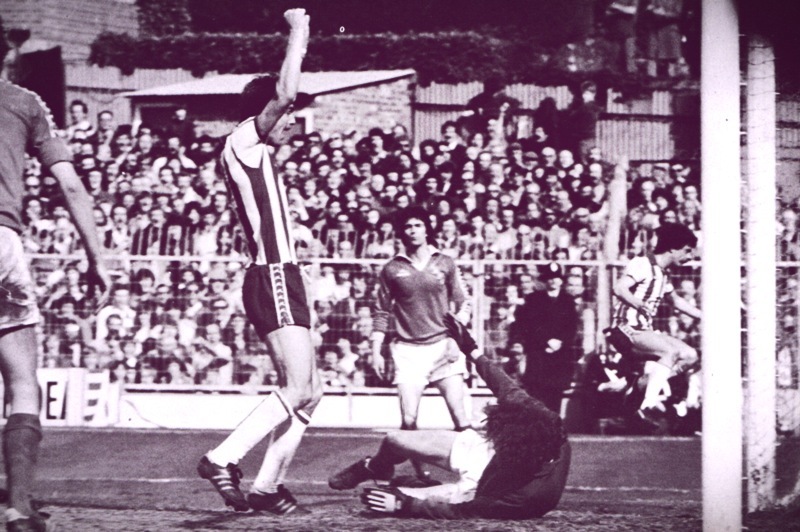 The goal seemed to be the first of many for Brighton, bristling with ideas and aggression, were in absolute control. But they failed to build on that lead. 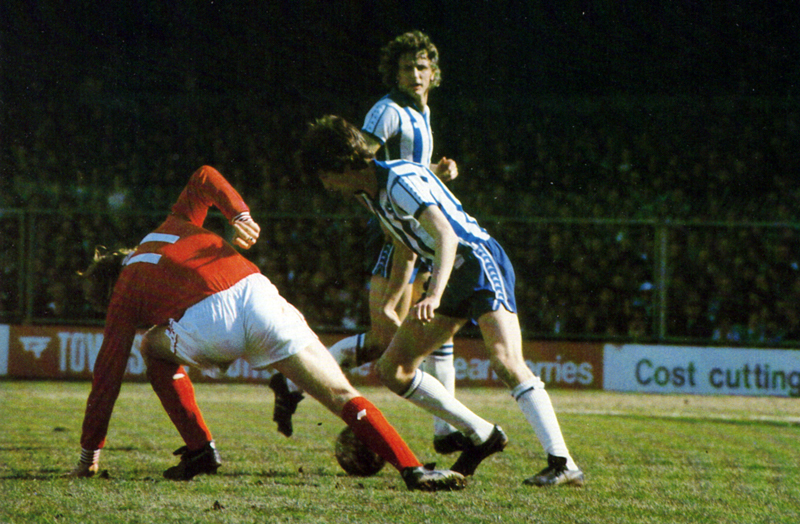 Lawrenson uses his skill to put Gary Churchouse off balance, while Rollings covers the space behind. 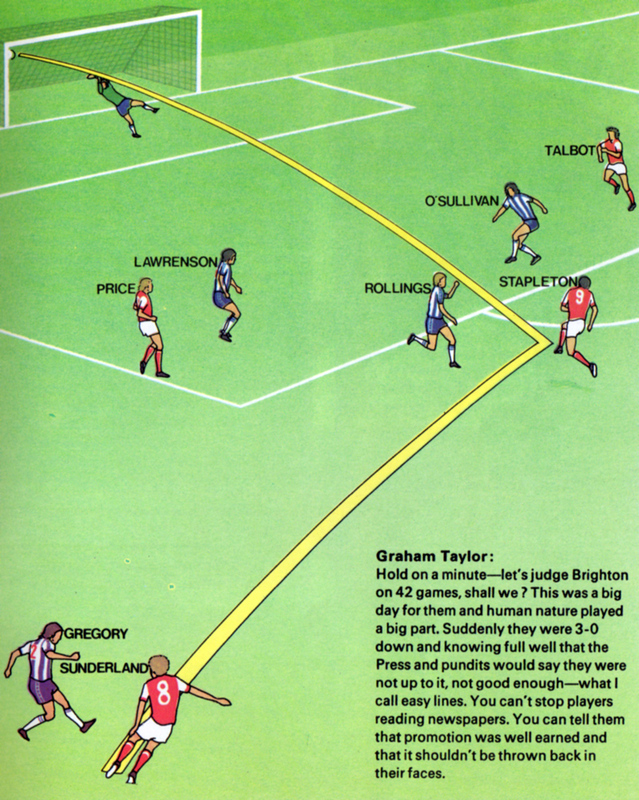 But Brighton did finally manage a second in the 76th minute when the unfortunate Shaw turned an O’Sullivan cross into his own goal. You could see the tension lift from them. 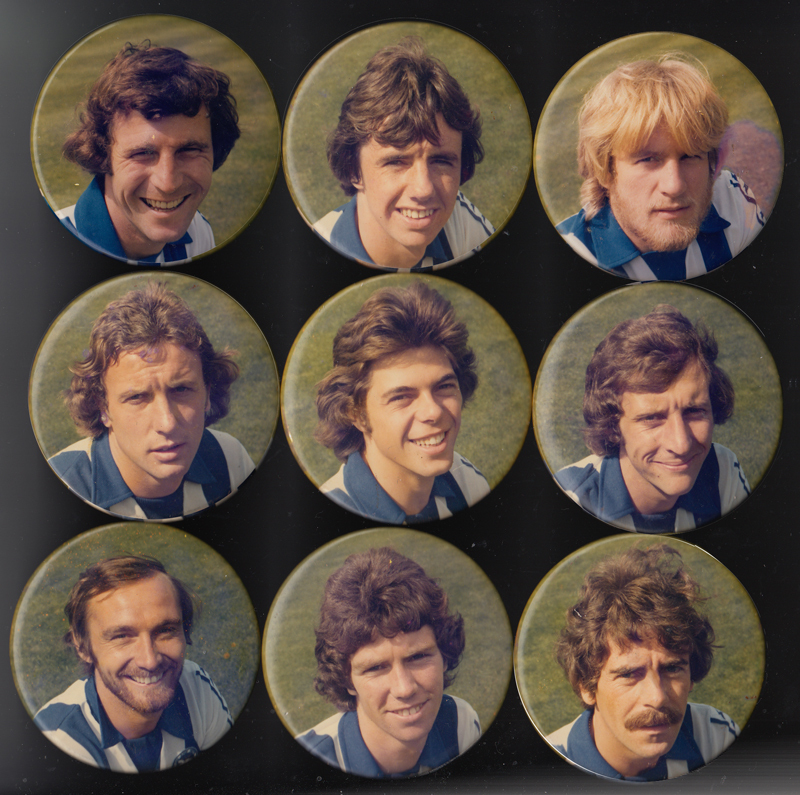 Apparently, according to Nick, there were shops along Sackville Road, Hove, that used to sell badges such as these on Saturdays, to make a bit of money as supporters made their way to the Goldstone Ground on Old Shoreham Road. 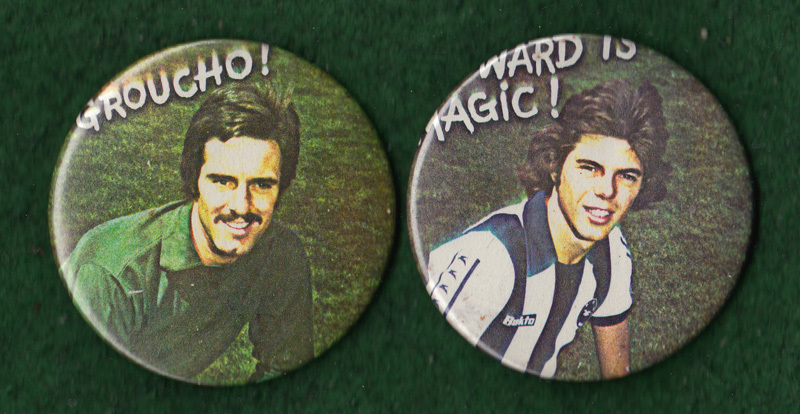 I was actually given a set of these when I was about five or six in the mid-1980s, as I decided that making badges was a very fine hobby. 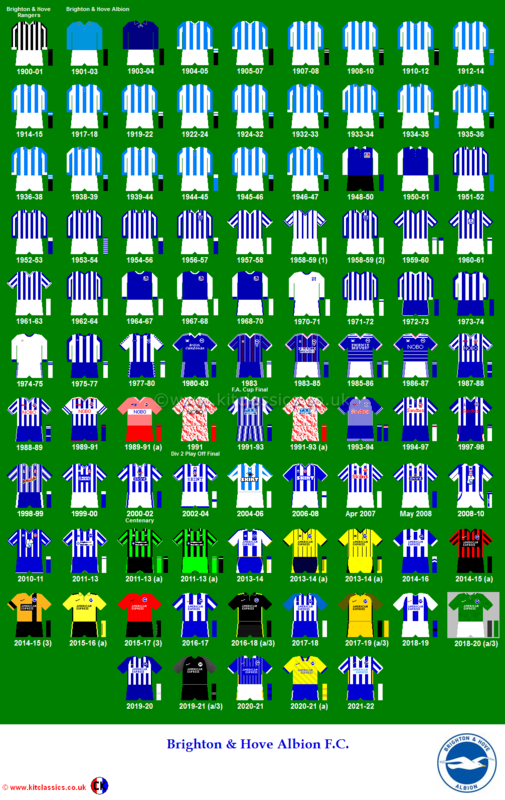 So, yes, I took off the head and shoulder images of the various Brighton players and replaced them with my own designs. Silly me. Suffice to say that I won’t be doing that with these! 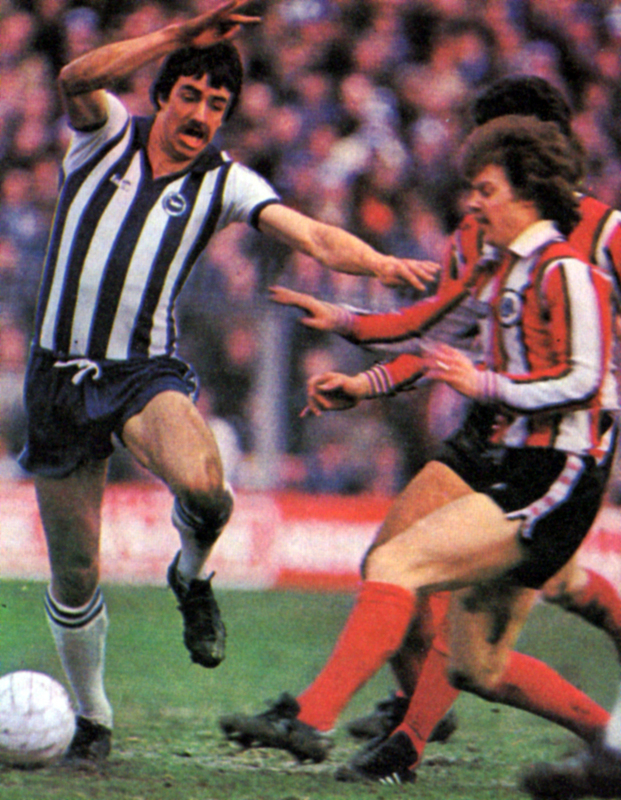 Brighton Player of the Season 1978/79 is… Mark Lawrenson! 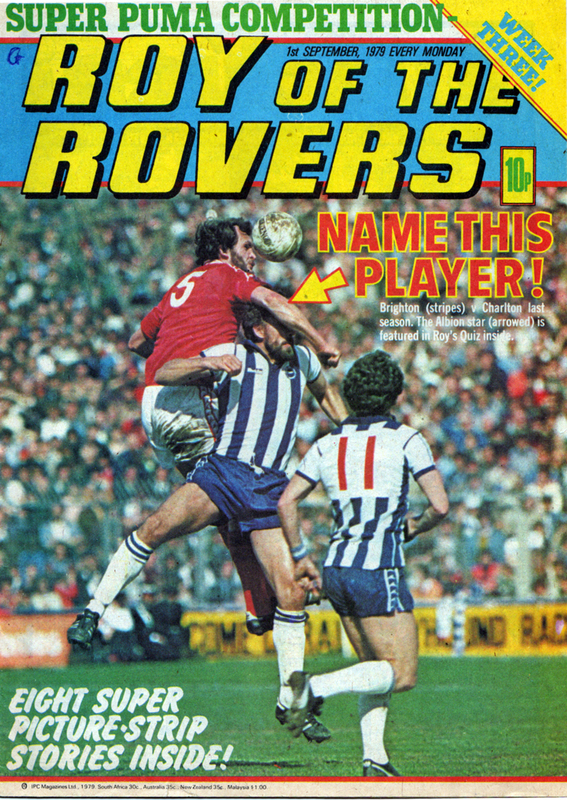 He broke his arm and missing the finale of the momentous 1978/79 season. 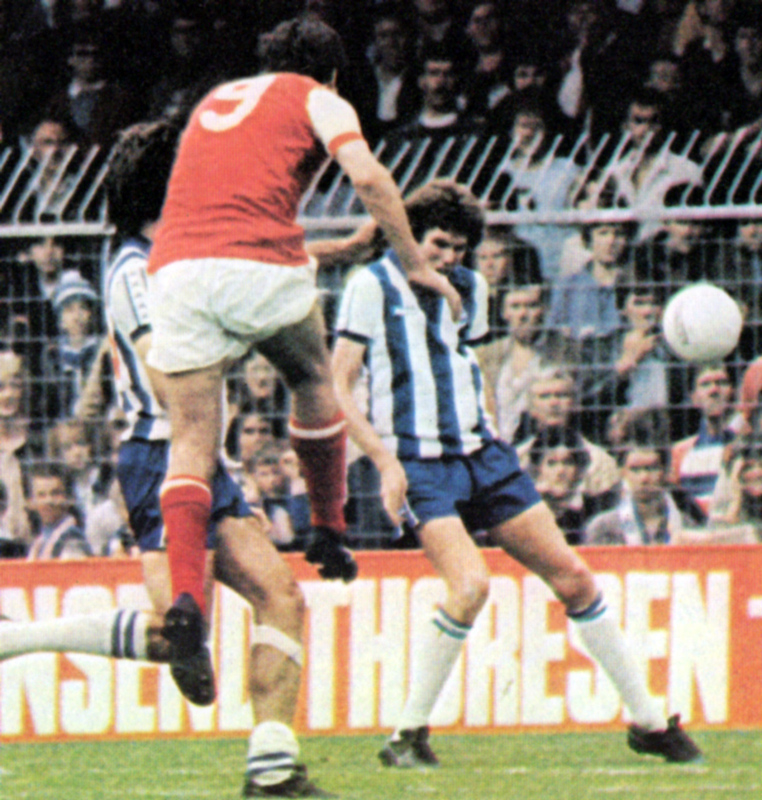 However, nothing could take away Mark Lawrenson’s winning of the ‘Player of the Season’ ahead. 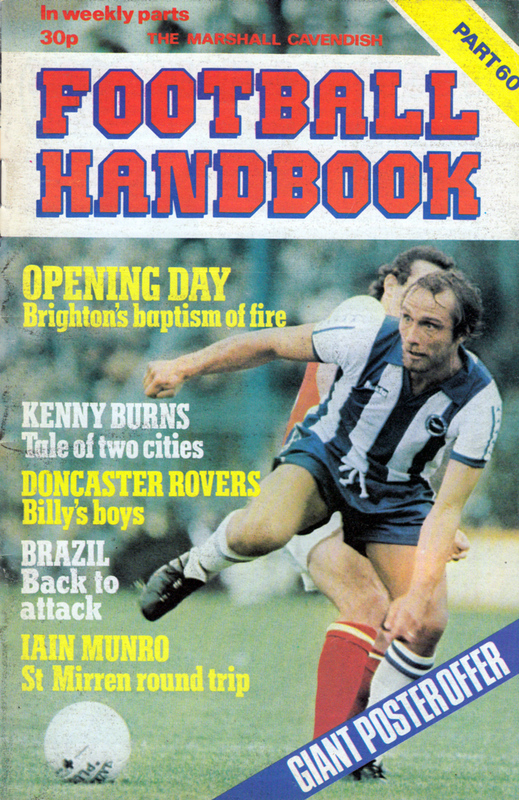 As Brighton headed into the First Division for the first time, the world was certainly his oyster. Mark sheds blood for his country in last season’s European Championship clash between Eire and neighbours Northern Ireland. Brighton’s place in the First Division was on the cards for most of last season. 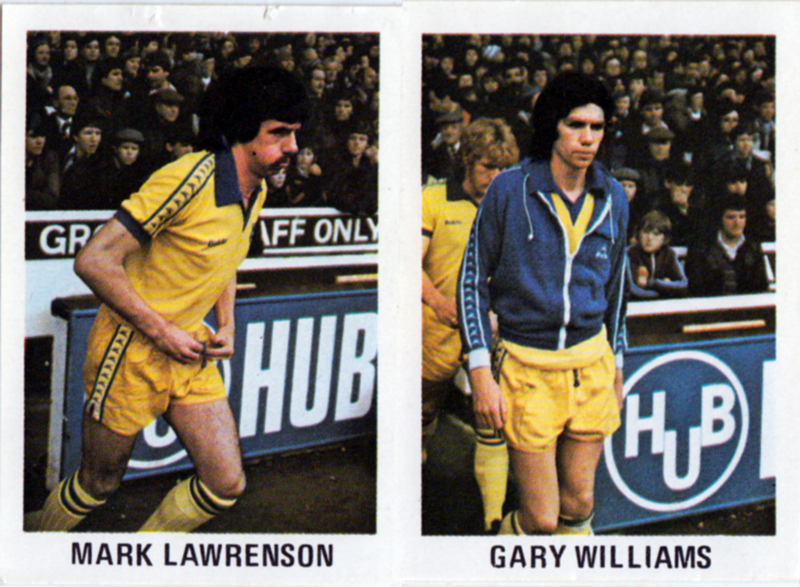 And in the cards too, according to Mark Lawrenson. ‘We were destined to go up. Hard work is vital but your name’s got to be on that Cup or League title as well,’ declares the Brighton defender. 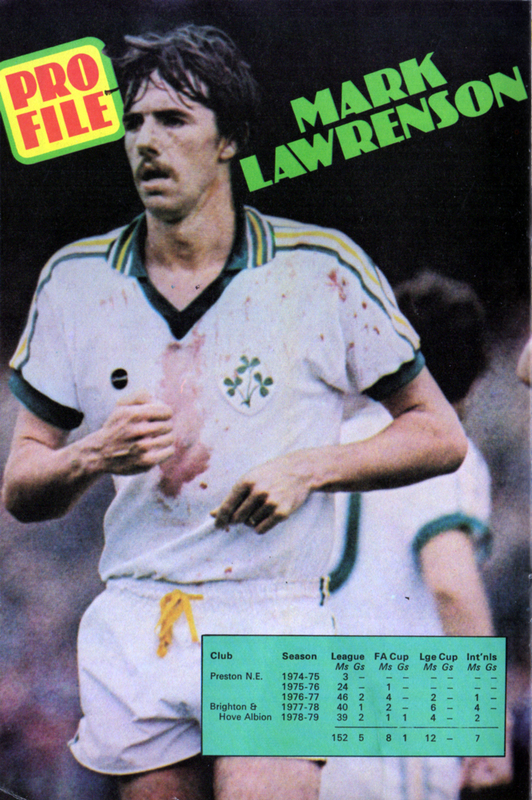 Fate certainly seems to have had a say in Lawrenson’s own short career. He was 19 and settling in comfortably with Third Division Preston when he suddenly found himself on the move. ‘I never really wanted to leave. The only reason I went was because Preston needed the £2oo,ooo transfer fee. ‘I was on holiday in Spain. They rang me up and said, Look, Brighton have been in for you. You don’t have to go if you don’t want to… but, we’re a bit short of money. ‘Don’t get me wrong. 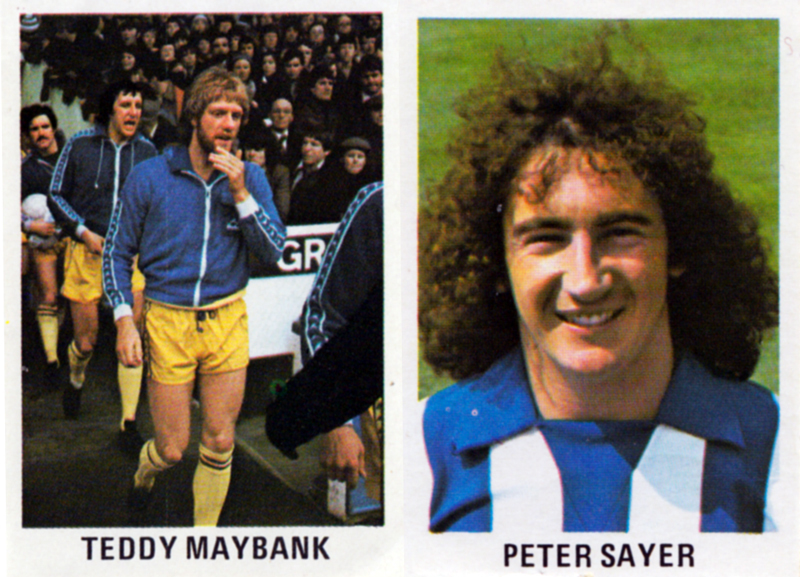 I’m glad I came to Brighton, but if Preston hadn’t been hard up they would never have sold me and I wouldn’t have been pressuring them to leave. ‘They’d offered me a great contract for two seasons and I was quite happy to stay there.’ Affection for the club is in the family. ‘My stepfather’s a director at Preston, my mum’s been a fan for years and I’ve been watching them since I was a nipper. 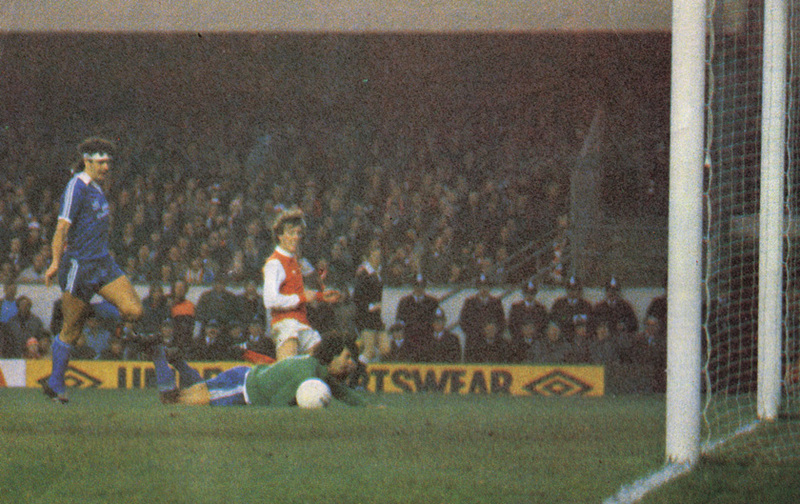 Although Mark caught the Preston bug, he was in no hurry to rush into the game… so fate gave him a shove. 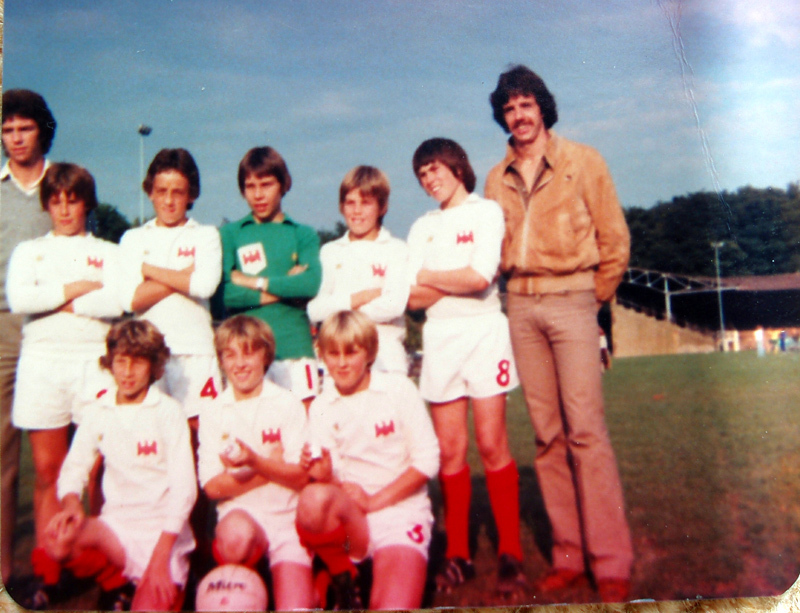 ‘When I was 17 I was told to choose football or carry on with my ‘A’ levels. I thought: ‘Sod it, I’ll go and play. ‘I could have gone to West Ham or Blackpool, but it had to be Preston. 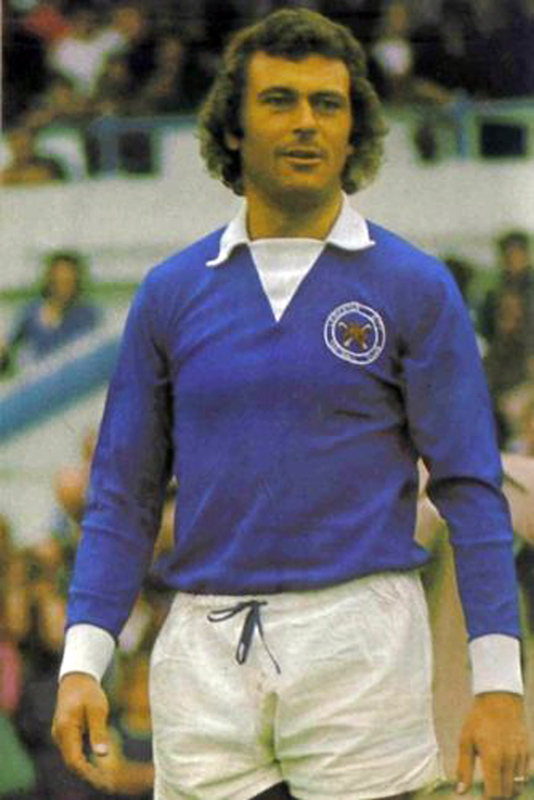 Bobby Charlton had been my hero as a kid and, funnily enough, he signed me for the club. 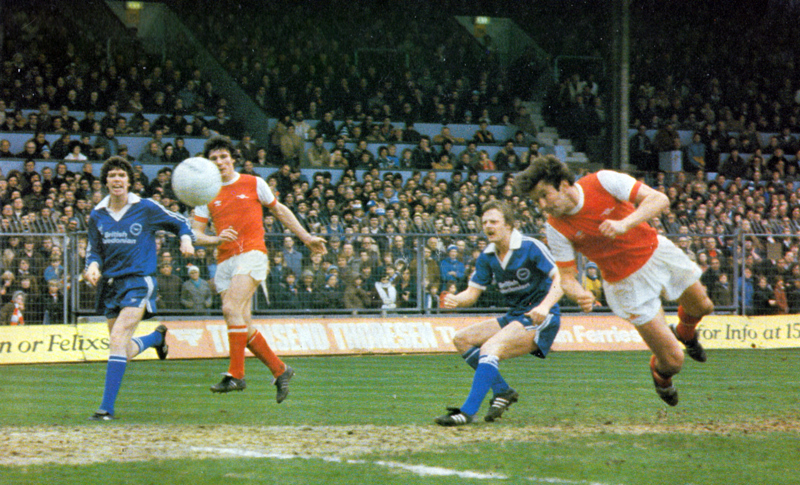 But the man who had the biggest influence on me turned out to be Nobby Stiles. 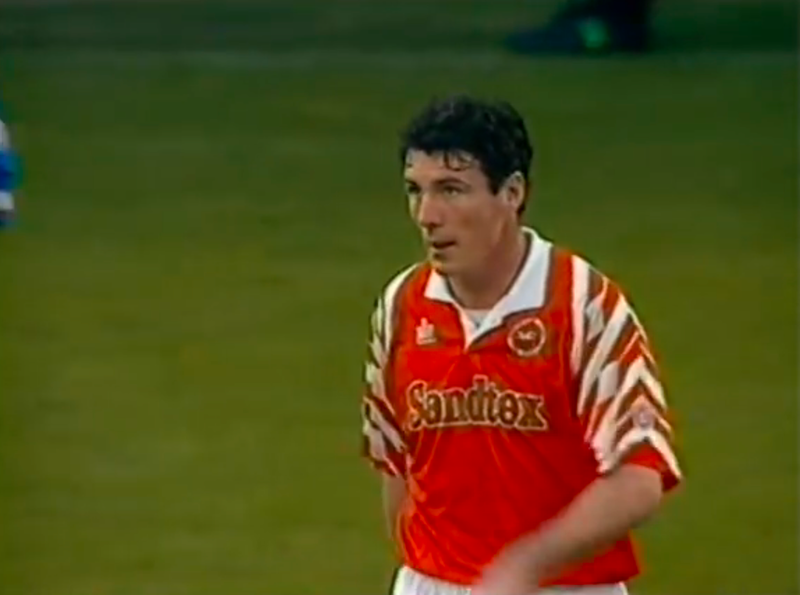 ‘He was a hard man in training. 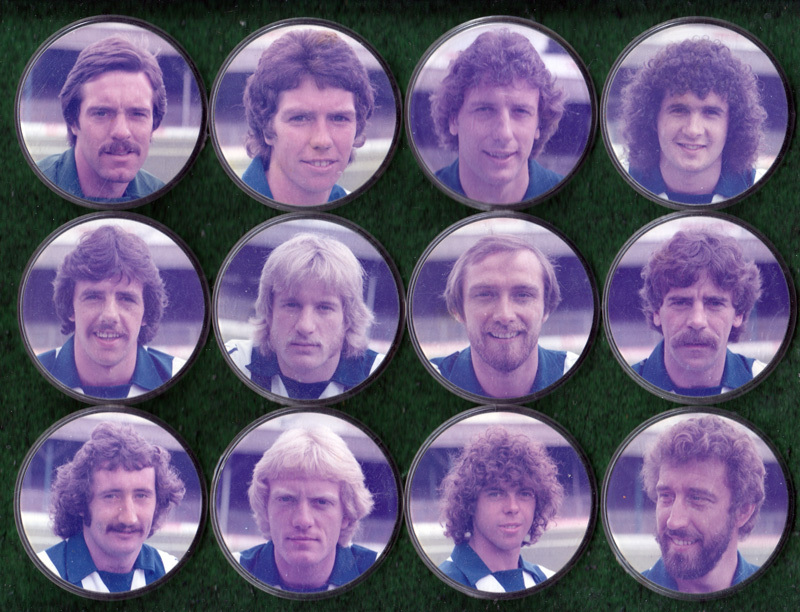 There were so many Scots at Preston that we used to have an eight-a-side England v Scotland game and all the Scots would hate you for 20 minutes. 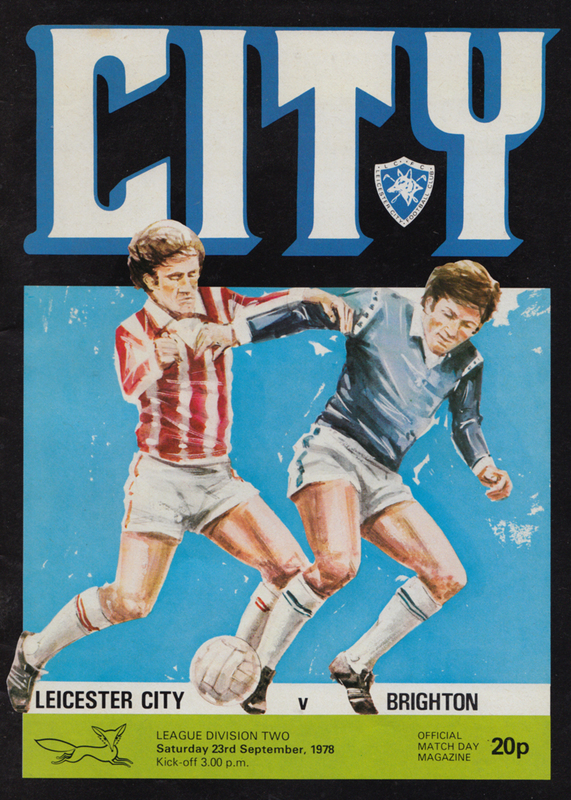 ‘They used to kick lumps out of Nobby so he’d roll his sleeves up and get stuck back into them. 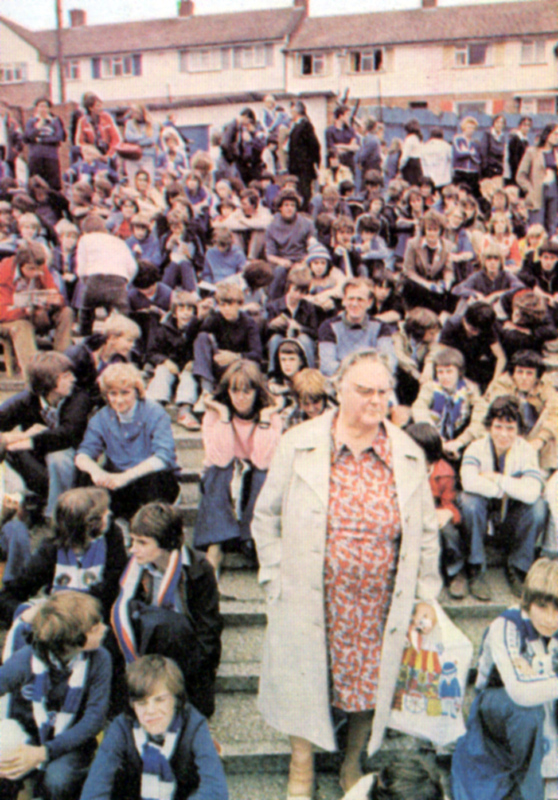 I’m sure in his mind he was back at Wembley or Hampden. ‘He also had a lot of skill. He doesn’t get the recognition he deserves for that, but you look at the way his Preston team plays now. 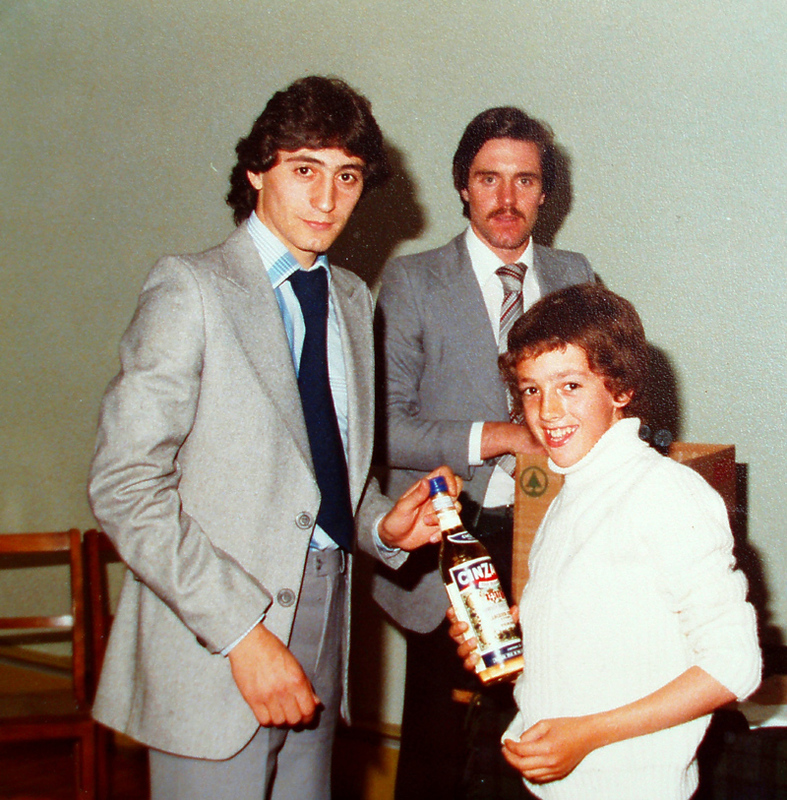 ‘When I signed pro he was just a player at Preston and then he became coach to the reserves and the youth team. 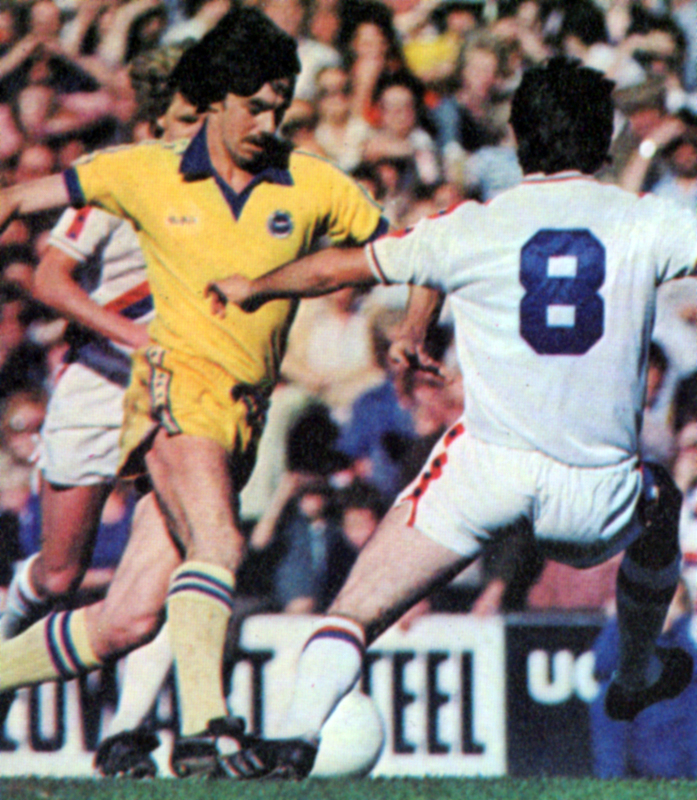 A little jink and Lawrenson evades a tackle. 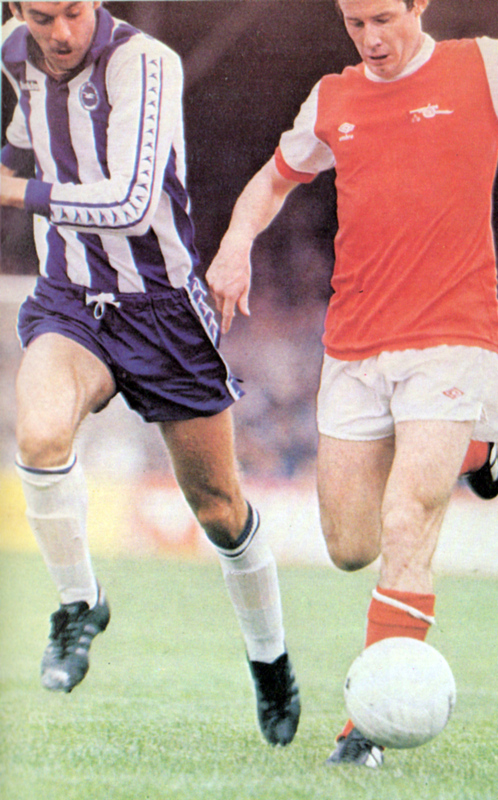 Mark followed in his father’s footsteps on Preston’s left wing. 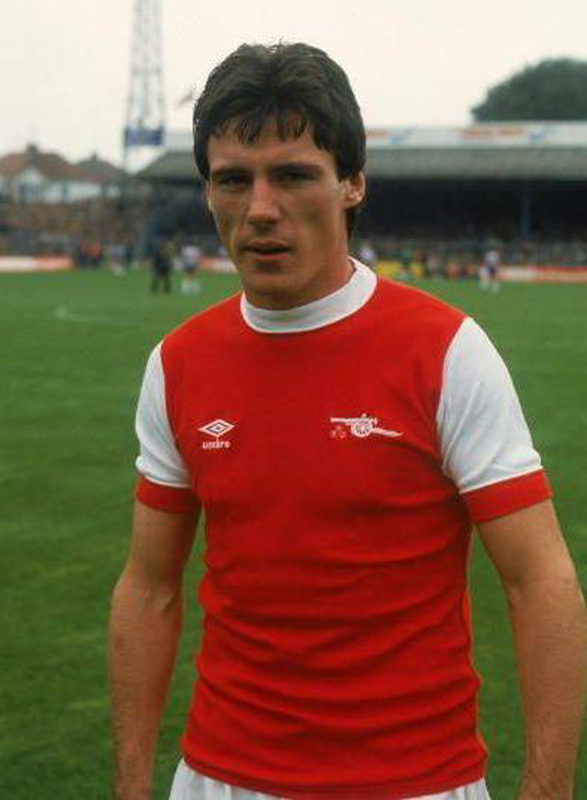 His days as a winger probably accounts for his willingness to carry the ball, rather than just always using it long. He also has the mobility to contain the liveliest strikers. If anything, Mark replaced Ward as the idol of the Brighton crowd. Is he aware of it? ‘I suppose I am really. Crowd response is another thing he’s looking forward to next season. 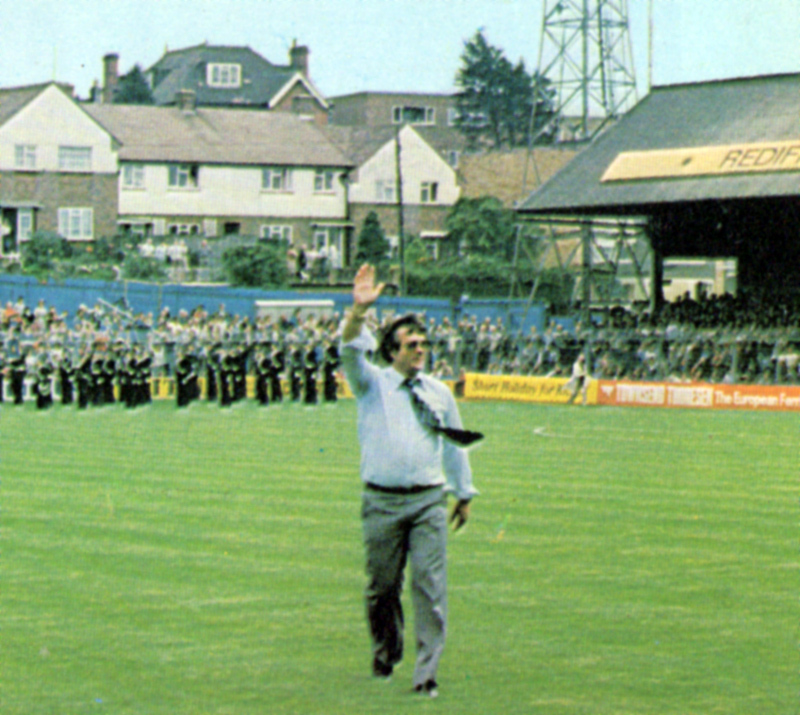 If you ask him what it is about the Second Division he’ll be most glad to leave behind he says simply, ‘Oldham, and grounds like that on a wet February night… hell. ‘Hopefully that’s all in the past now. I’ve played at places like Anfield and Old Trafford, but in the reserves for Preston in front of a couple of hundred. It’ll be a different experience to go back as a First Division player and be surrounded by people instead of empty terracing. Mark’s been an international player for the past three years, and surely fate decreed that he’d play for a country he’d never even visited. 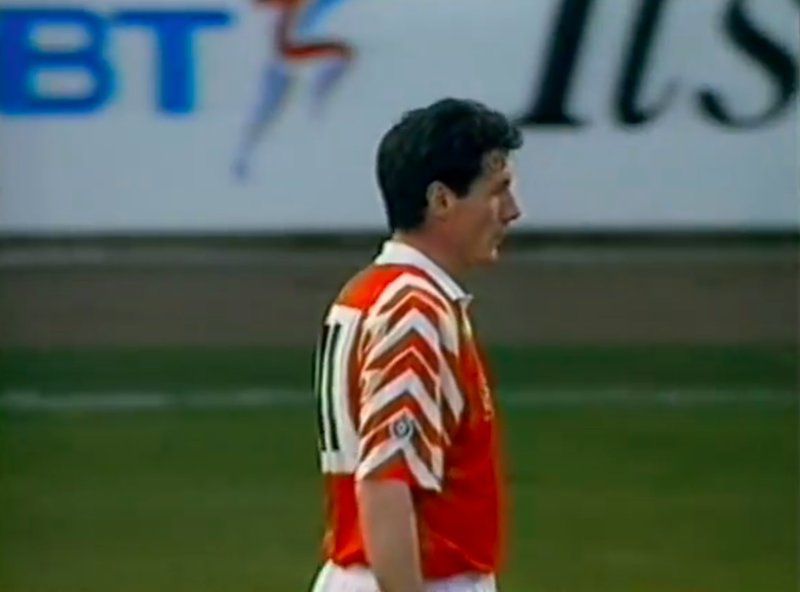 Mark’s mother is Irish and the combination of Kelly’s influence and Mrs Lawrenson’s ancestry saw him making his debut for Eire against Poland in Dublin when he was I9. 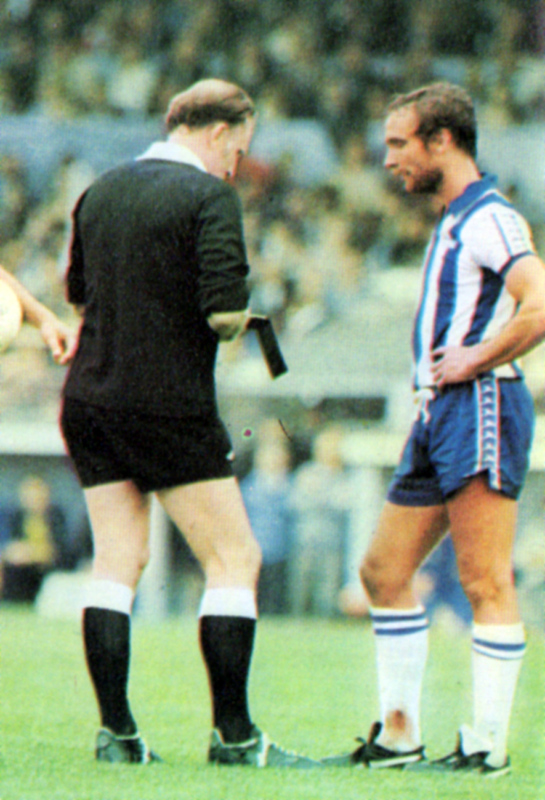 ‘When I came to Brighton I’d only played once for the Republic and the boss said he was going to find out if I was still eligible for England. It wasn’t on, but I wouldn’t have changed over anyway. 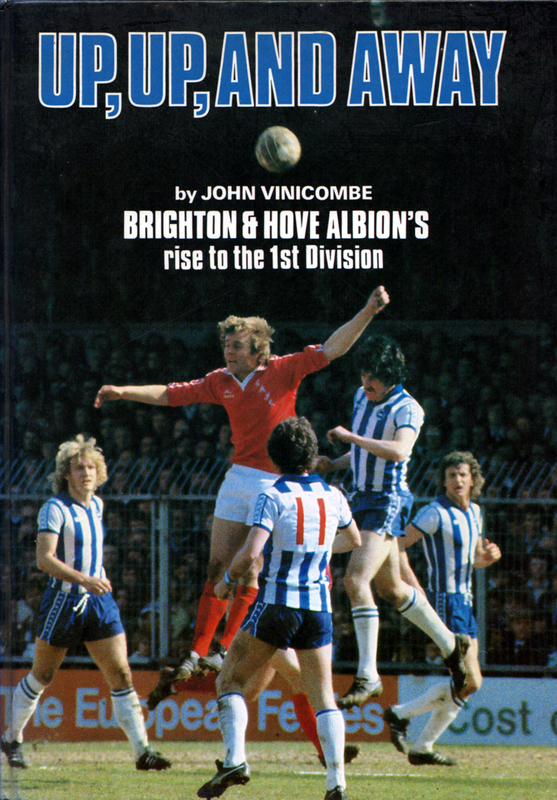 After narrowly missing out in ’77-78, Brighton made a shaky start last season. 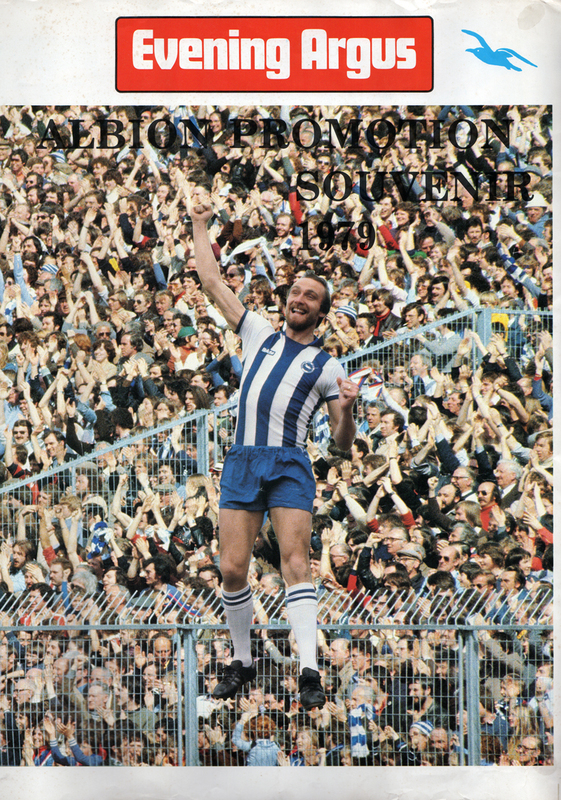 But Mark says: ‘People began to write us off, then we came back with a hell of a run. 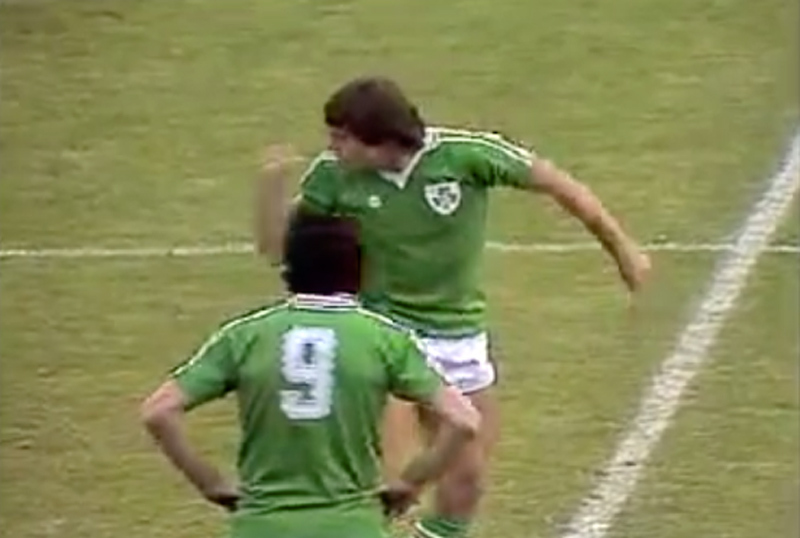 Boss Alan Mullery is in no doubt what life without Lawrenson would have been like. 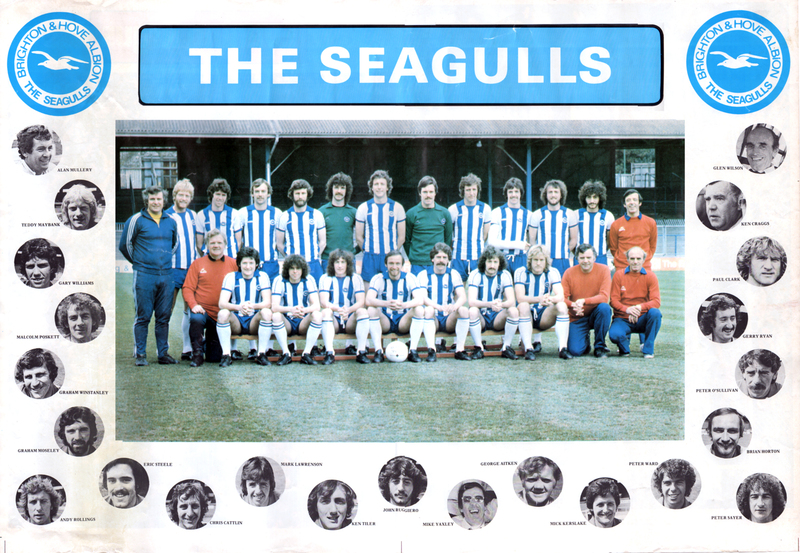 He says: ‘If he hadn’t been playing for us we would have been at the bottom.’ An exaggeration, perhaps, but an indication of Mullery’s estimation of Mark’s part in a momentous season for the Seagulls. The fans agreed, making Mark their player of the year. It was all in the cards, of course! Lawrenson’s skill on the ground, aligned to his power in the air, made him one of the best centre-backs in Division 2 last season. Now he’s ready to take on the top First Division strikers.